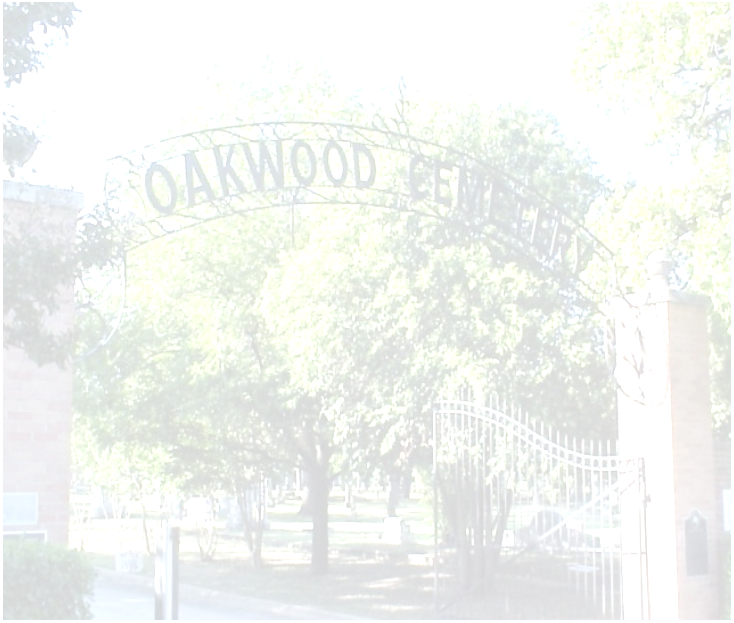 Oakwood remains uncrowded in spite of its long history because its founders were careful to plan for the future. A short tour with the included map makes it easy to find a suitable location. The Urn Garden is a recent addition and provides yet another alternative. Oakwood Cemetery works directly with local funeral homes to provide arrangements. Once a site is selected, your funeral director can handle the details. Oakwood Cemetery is registered Texas Historic Landmark and as a 501c13 non-profit organization all donations are tax deductible and go to the maintenance and improvement of one of Fort Worth’s most beautiful and historic places. You are encouraged to consider supporting this worthy cause.